So many places throughout the United Kingdom are steeped in history, but perhaps none more so than the city of Bath, located in the south west of England. Having been founded by the Romans, built by the Georgians and exploited by the Victorians, this city is a living monument to yesteryear. Every inch is dripping with history, and yet this place is not a museum piece – people live, work and go to school in edifices that are hundreds of years old. Whether you’re a resident or a visitor, no one is immune to the beauty of this city, nor to the palpable sense of history that radiates out of every crevice. From the Roman Baths that first put this place on the map, to the neo-classical Palladian buildings erected in the 1700s, there’s a treat around every corner. All of this has given Bath UNESCO World Heritage status, an accolade given to ‘places of outstanding universal value to the whole of humanity’. Yet despite this grandiose title, the city has humble beginnings. In fact, it only exists thanks to three hot springs, the thermal waters of which are said to have powerful healing qualities. Legend has it that in 860BC, Prince Bladud, the son of a local king, caught leprosy and was banished from court. He was left to look after a herd of pigs, many of which also suffered a skin disease. He followed them to some hot springs where the pigs wallowed in the mud, after which he noticed they were cured of their ailments. Prince Bladud followed the pigs’ example and returned to court free of leprosy. He later became king and founded a city on the site of the hot springs – a city that would later become known as Bath. Whether this romantic tale is true or not, historians are certain that the Romans discovered the hot springs and built a temple on the site in 50AD. It was dedicated to Minerva, the Roman goddess of healing, and Sul, a Celtic god. 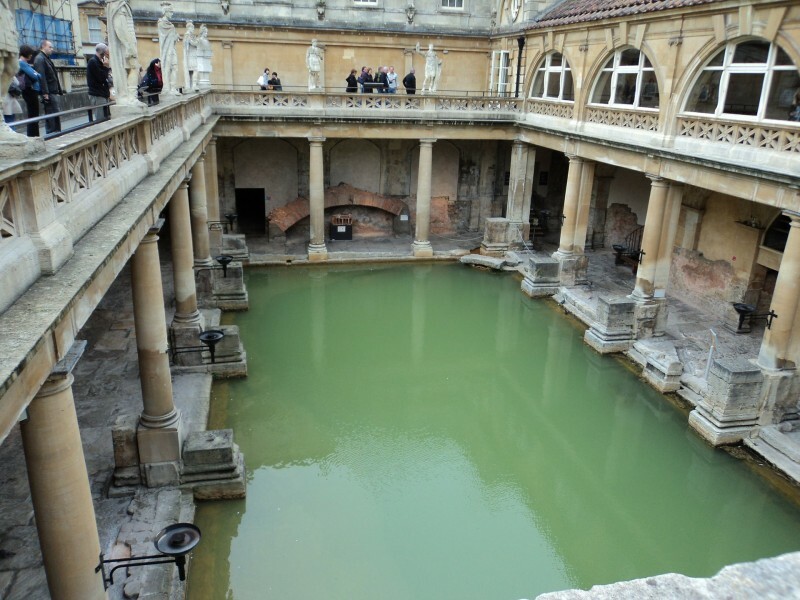 From this derived the Roman name for the city – ‘Aquae Sulis’ – meaning ‘waters of Sul’. The Romans baths and bath abbey. Photo via Pixabay. The Romans eventually withdrew from England in the 4th Century, but not without leaving their mark. 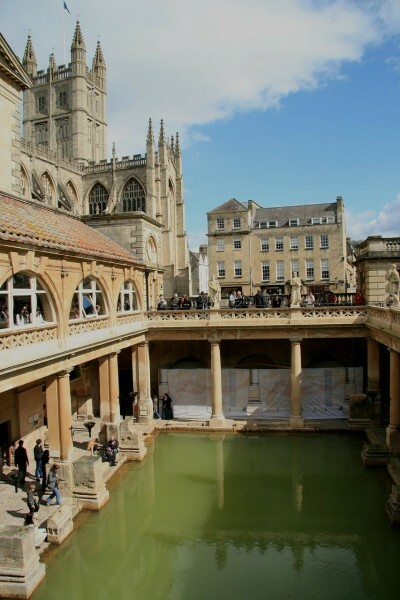 Their tenure can be seen across the country, including in Bath, where the remains of the Roman Baths still stand today. It’s one of the most visited heritage attractions in the UK, and understandably so, given its ancient origins. For the next few hundred years, Bath quietly subsisted. People still visited the hot springs for their healing powers. But otherwise the city, and its surrounding villages, depended on the wool trade. Of course, there were a few notable events. In 973, the first king of England, King Edgar, was crowned on the site of the current Bath Abbey. The Abbey itself had a turbulent time and was pulled down twice – firstly by the Norman Conquerors, and secondly during Henry VIII’s dissolution of the monasteries. Then there was poverty and plague, and the English Civil War which saw Bath occupied by first Parliamentary troops, and then by Royalist troops. But it wasn’t until the 18th Century that people really started to sit up and take notice of Bath. During this time the city underwent a sensational transformation and quickly became one of England’s most elegant and genteel locations. This can largely be attributed to three men – Richard ‘Beau’ Nash, Ralph Allen and John Wood the Elder. As the Master of Ceremonies, Beau Nash had a vision to make Bath into a fashionable spa town. He encouraged architect John Wood the Elder to draw up plans for the city. Wood obliged, and stuck true to the neo-classical Palladian style he was so inspired by. He went on to build some of the city’s most famous landmarks, including Queen’s Square, Prior Park and the Circus. The stone for these buildings came from Ralph Allen’s quarries at nearby Combe Down, which were rich with oolitic limestone – now known more commonly as Bath Stone. This wonderful honey colored material now prevails throughout the city, giving it a warm glow come rain or shine. John Wood the Younger followed in his father’s footsteps and went on to become an established architect in his own right, building the Royal Crescent and the Assembly Rooms. Together, these beautiful Georgian buildings are a sight to behold, and continue to delight visitors to this day. As a result of this building renaissance, Bath quickly prospered, and it became a place to see and be seen. English high society would gather here to take the water at the Pump Rooms, attend balls at the Assembly Rooms and promenade the streets. Jane Austen, the famous English author, even set two of her novels in Bath – Persuasion and Northanger Abbey. These days, Bath is a seamless blend of the contemporary and the historic. There are all the shops and amenities that a modern-day city dweller could need, yet it is set against the most breath-taking backdrop. This, and the fact it’s just a two-hour train journey from London, makes it a must-see for anyone visiting England. For more information on a trip to Bath, England visit the official tourism board website.